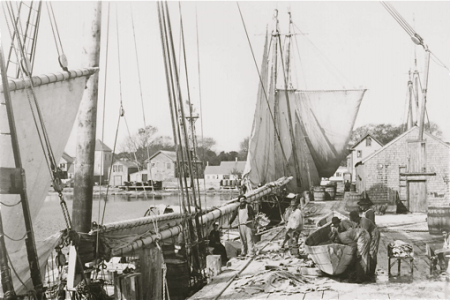 A Bit of History Beneath Fanizzi’s: Fanizzi’s is built on the location of a fishing empire known as Whorf’s Wharf in 1850. At one time this busy pier stretched 400 feet into the harbor, serving its own fleet of 16 boats. From The Year Rounder’s Guide to Provincetown. Culture Trip: Fanizzi’s by the Sea can at times feel like you’re actually in the big blue sea: hearing and seeing the crashing waves adds to the meal’s excitement. Serving up traditional Italian and American fare Fanzizzi’s has an all-you-can-eat brunch buffet on Sundays. Mimosas and their famous Bloody Mary with New Amsterdam Citron are on hand to wash down the French toast, corned beef hash and eggs Benedict. CapeCod.com: So close to the water, you’ll feel like you’re floating! Sunday Brunch is served year-round in an all you can eat style with a full bar. Boston Globe: Fanizzi’s Restaurant has a wall of windows that look out at the sea, and when the tide rolls in and under the restaurant, it doesn’t get any better. 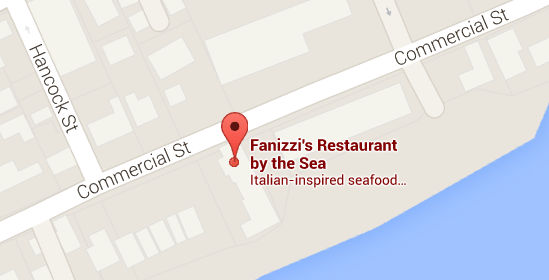 See more articles below the video of Fanizzi’s by the Sea in Channel 5’s Chronicle.